Sounds like a look we still see, but not together as one would in 60s, yet each of these deconstructed elements transport me firmly in 60s. Think festive season, and sure as hell we think of dark makeup, deep shades of red, gold, black liner, but this Diwali , do something a little different. Look radiant and bright. Think more lit up and bright, glowy but fresh. It has pale gold eyes, nice rosy cheeks, and pink gold lips. Or green /brown kohled eyes, peachy pink cheeks with shimmer, and a berry pink or a matte brown pink. The idea with this look is not to overpower any feature, and keep the attention to looking glowy and festive instead of deep makeup that just screams , 'i wear this makeup for every festive occassion'. I will do a tutorial on these looks soon, but till then let me show you the different elements required for this look. Kajal / Kohl as it is known popularly is something most indian girls and even boys grow up with. Tonnes of kajal in eyes seem to make most of my baby pictures. I grew up wearing kajal, but of course most schools did not allow kajals, or any makeup, and I went to school, scrubbed clean face, and two plaits, or a curly wavy bob. But when college happened I found myself reaching for the kajal, more and more. Partly because it was the cheap, easy to use, and just because there was always plenty of it in any dibbi or tube i bought. It is a mix of soot/ carbon with some oil or ghee. Apart from making your eyes pop, it keeps your eyes lubricated, And cools your eyes when it contains camphor. It also helps your lashes grow thicker. So here are a few ways to wear kajal, and different types of kajal you can get in the market. The trend that I just stumbled by, and find myself loving, is the strong brow look. It is convenient for people who have thick brows and dont always get it shaped regularly(read me). It also adds a new dimension to the entire look. And somehow I am finding it super sophisticated. Here are few trends and how tos related to the thicker brows and product recommendations as well. I am doing a brief tutorial on how to pull off strong brows, using products that are already at home (read no brow powder). This is my concealed darkcircles face. Here is a quick hello to all my blog readers, there is the promised post on bollywood in 60s coming up. But that takes time to research and write. So give me some more time. 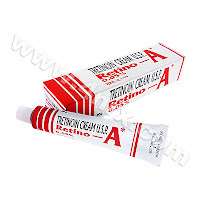 Most eye creams tend to be super expensive, and often do not deliver. Sometimes they cost a bomb and do a fab job too, but really how often can you pay that much. So here is a quick tip. Dip a cotton ball in warm water, squeeze out excess, and dab around eye area, this helps open up pores, dislodge dirt if you give it a very gentle wipe and refresh your eyes.